Early Sirens is the first book ever to offer critical health warning signs long before sleep apnea so you can take proactive steps to head off CPAP mask and sleep apnea’s many complications: heart attack, Alzheimer’s brain, acid reflux, chronic pain, fatigue, stroke, high blood pressure, and more. In this sequel to my ground-breaking book, Six-Foot Tiger, Three-Foot Cage, I connect the dots of snoring, teeth grinding, jaw clicking, neck-shoulder-back pain, chronic fatigue, root-canals, and one medical and/or dental trouble after another, into a coherent WholeHealth explanation for sleep apnea — by linking poor sleep to choked airway to impaired mouth structures. Treating these leading oral-facial indicators as “canary in the coal mine” warnings early on can help head off CPAP masks and sleep apnea’s other very costly medical and dental complications. Rich with real-life cases and scientific evidence, Early Sirens also offers a proactive Holistic Mouth as a natural solution to stop and reverse Impaired Mouth’s dominos from falling toward sleep apnea. You will learn an Impaired Mouth is the anatomical cause of poor sleep, airway obstruction, and oxygen deficiency, and learn to recognize an Impaired Mouth with OneLook YouKnow™. It has officially launched today and you can find it on Amazon right now. As a special celebration and in gratitude for all the love and support I’ve received from my entire community during the creation and production process, I’m making the new eBook publication available FREE for everyone! You can get it on Amazon beginning TODAY – Thursday, October 19th through Monday, October 23rd. You will see Holistic Mouth CSI™ (Chair Side Investigation) putting the WholeHealth paradigm to work to solve Impaired Mouth Syndrome. “Is this body getting what it needs to stay healthy? If not, what’s in the way?” Through this kind of Chair Side Investigation, Dr. Liao traces symptoms back to their root causes, just like Sherlock Holmes astutely picking up clues overlooked by others at the crime scene. It’s FREE for you now until Monday, October 23rd, but hurry! You don’t want to miss out! Once you download and read my book, I would love for you to leave a review on my Amazon sales page and share what you loved about it! To receive your FREE eBook, follow the link to Amazon and use the 'Read for Free' button to download Early Sirens to your phone, tablet, computer, or Kindle. PS. If eBooks aren't really your thing and you prefer the feel of holding a print book in your hands, you can get a copy of the print version on Amazon.com for the promotional price of ONLY $14.95 until Monday, October 23rd. 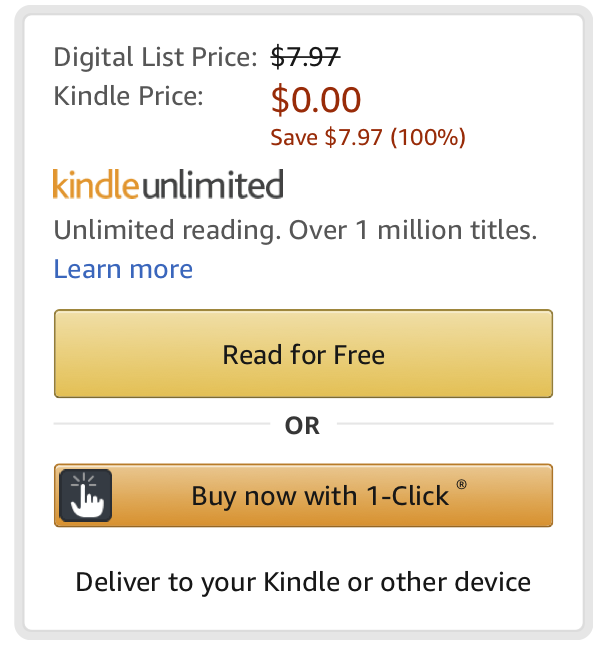 **To receive your FREE eBook, follow the link to Amazon and use the 'Read for Free' button to download Early Sirens to your phone, tablet, computer, or Kindle.